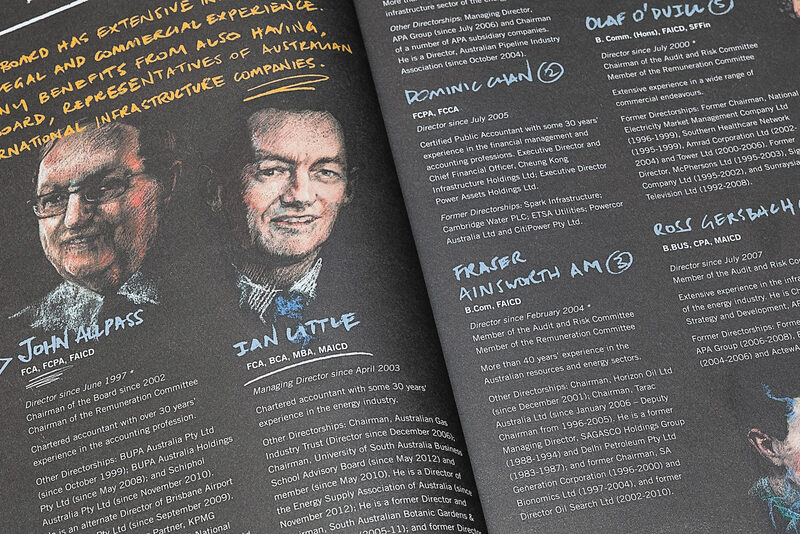 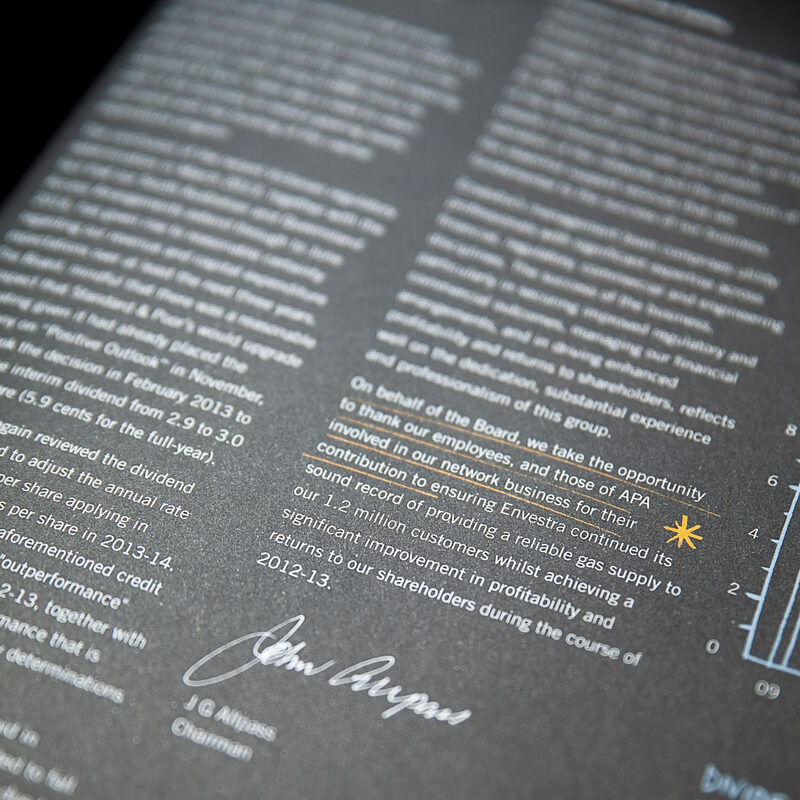 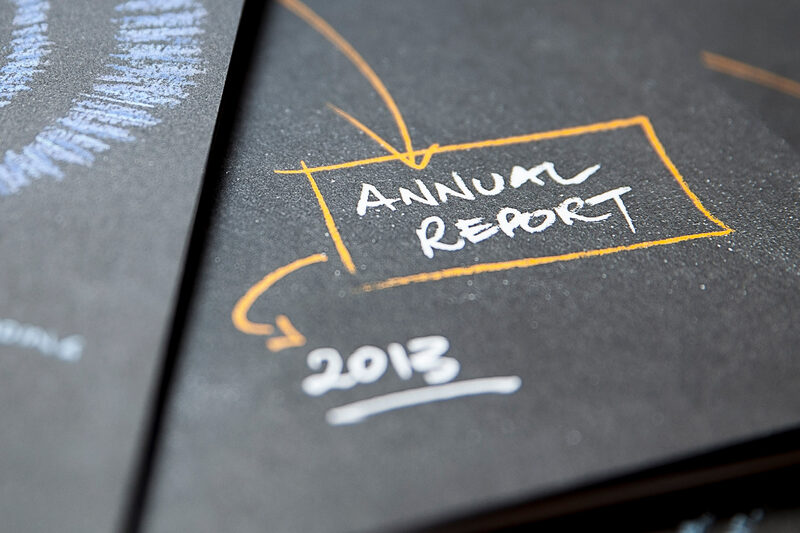 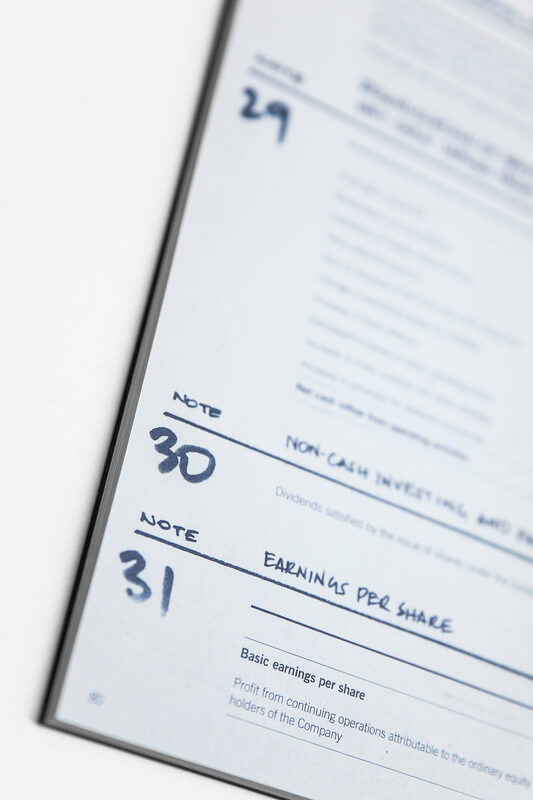 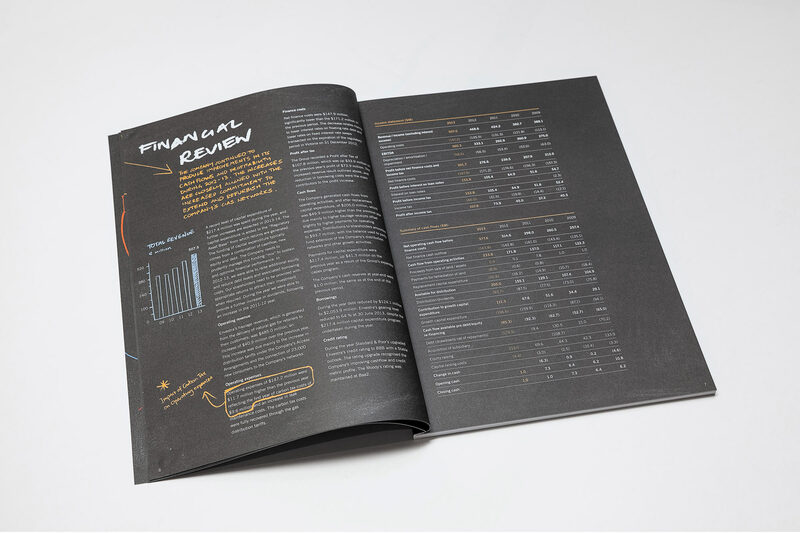 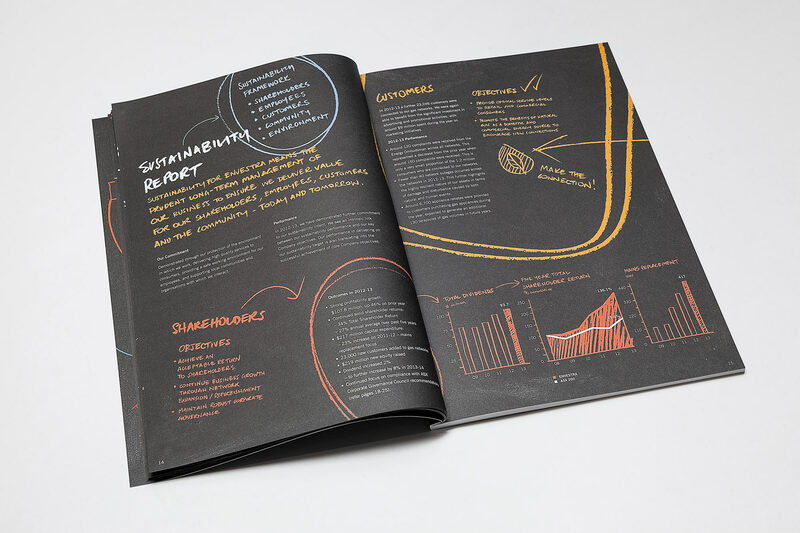 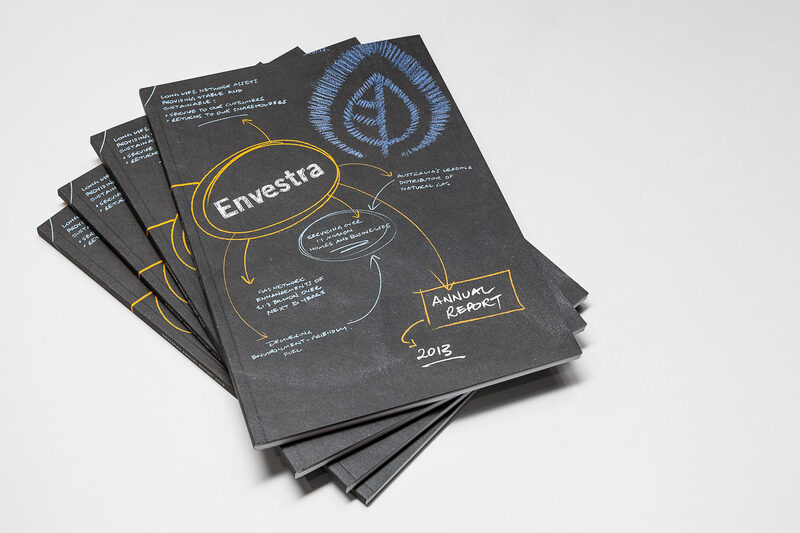 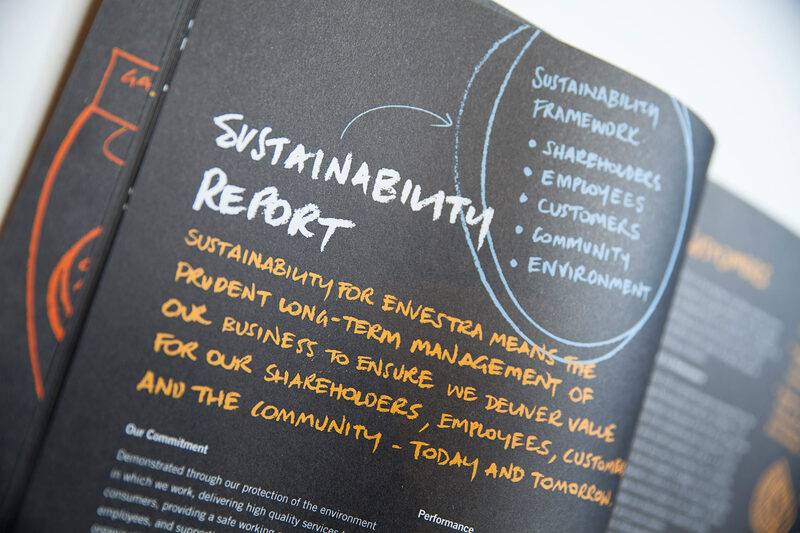 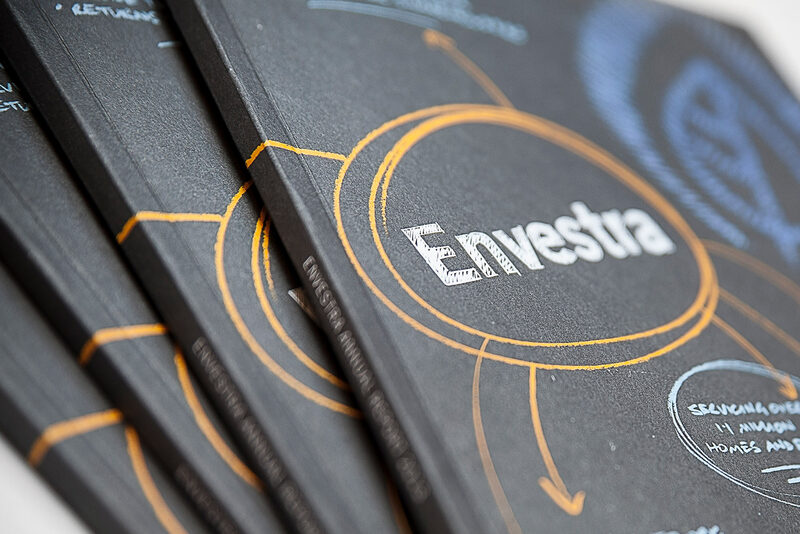 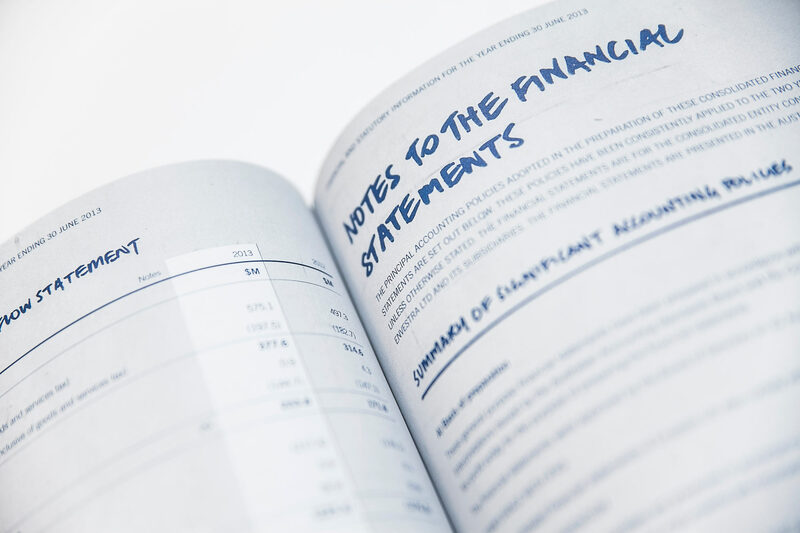 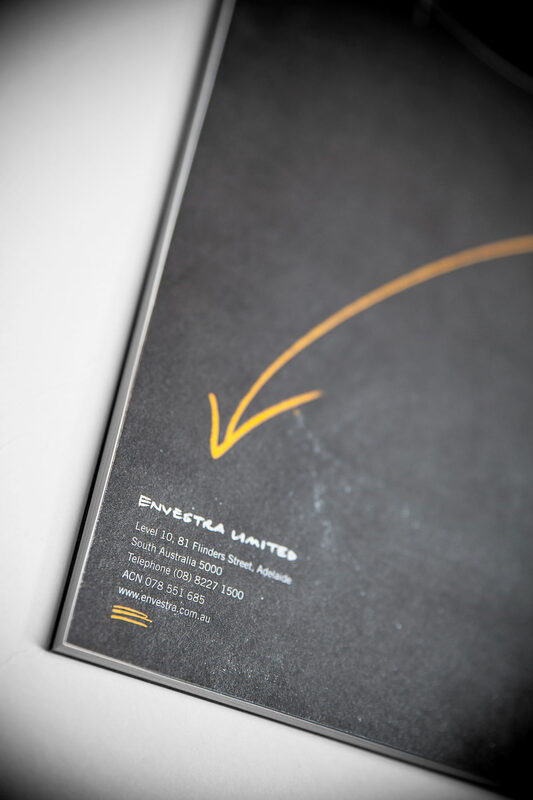 Known at the time as 'Envestra', this annual report for Australian Gas Networks was inspired by the client brief, which sought introspection and review. 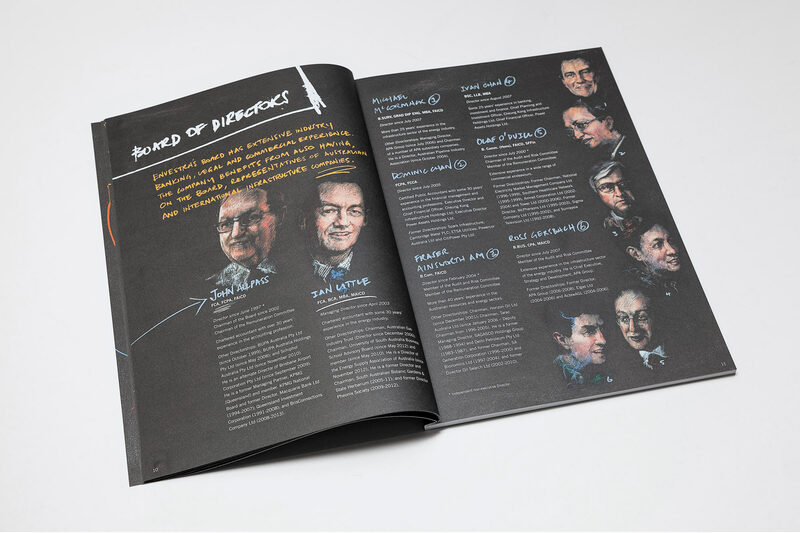 We went 'back to the drawing board' and commissioned a series of chalk portraits of the Company Management team. 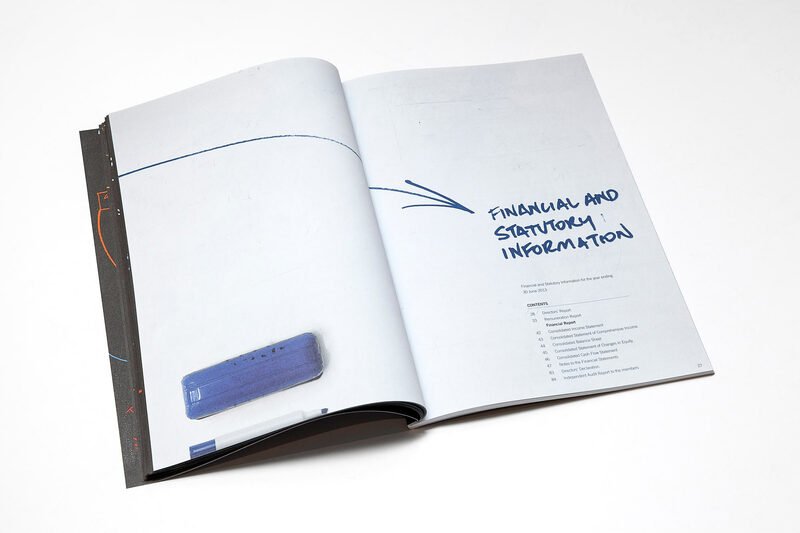 This was a bold direction that immediately struck a chord with their investors, and captured the spirit of review and consolidation that the company was undergoing at the time.